At the Moorestown Library a kindness discussion group based on Moorestown’s year of Kindness will be meeting the first Tuesday each month. 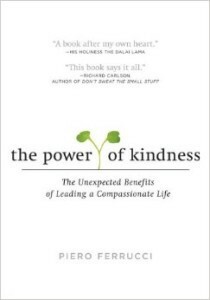 The Power of Kindness is a daytime book discussion group meeting the first Tuesday of every month from 1 p.m. to 2:30 p.m., effective October, 2015. The meetings will be Oct. 6, Nov. 3, Dec. 1, Jan. 5, 2016 and on thru 2016. Essay discussions will be facilitated by longtime Moorestown resident, Holly Myers, community kindness coordinator. Additional copies of the book will be ordered by the Library based on community interest. Our discussions will follow an order that differs from the book, given that they are designed to align with calendar events with a natural fit. Our October beginning will launch with a review of the September focus of Service as well as the October focus, which is Contact/Connection. November is Gratitude, December is Generosity, January is Honesty and so on. Chapter discussions are intended to move us forward in our Community Kindness conversation. If you are unable to join us live at the Library, consider obtaining a copy of the book, reading along with us, and connecting through Facebook, e-mail or news outlets. True kindness can be trusted as genuine, honest and from the heart. Care to join us? You are welcome to do so. To indicate your interest, text or call Holly Myers at (609) 876–2730 or send an e-mail at kindnesscampaign@comcast.net. The Moorestown Library is located at 111 West 2nd Street and the group shall meet at the Community Meeting Room.